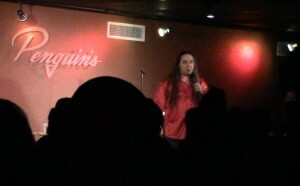 I’m playing at Penguins Comedy Club this weekend. My favorite club named after a flightless arctic bird. I’m playing The Crested Auk later this year, but it’s not nearly as good. But the real reason I was excited to come back to Cedar Rapids, IA is The Lost Cuban. Most food of Latin descent makes me happy. And good Cuban food is no exception. And you’re thinking, “Good Cuban food… in Iowa?” Yes, siree. And it’s because the owner is an honest to gosh actual Cuban himself. Makes it work better. Had the traditional Cuban sandwich with black beans and rice and this killer little sweet/spicy sauce they have. 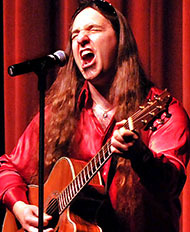 And one of these. That ought to keep the energy up. 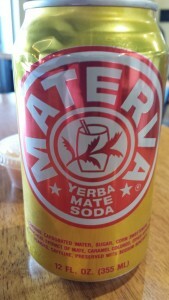 The yerba mate is enough, but the 40g of sugar will ensure a fantastic energy crash later today. 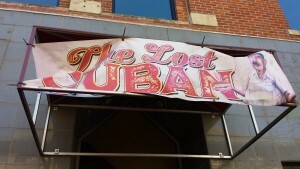 Go visit the Lost Cuban in Cedar Rapids. Do it. Because I said so. Don’t make me turn this car around.